And welcome to the FifTH monthly update! I must apologise once more for my tardiness – I’m a week late again, but I have a semi valid excuse – I was knocked out by a virus and then went away for a long weekend at the point at which this post SHOULD have gone up. As you can see, I significantly shortened the design as my fabric was nowhere near long enough me to stitch it fully, but I think it worked out pretty well. I’m switching to the LAST Saturday of the month for updates, so the June update will be posted on Saturday 30th June. And welcome to the FOURTH monthly update! Firstly, please let me apologise to my fellow challengers – this post should have been up last Saturday, but I’ve been so busy lately I didn’t get round to any of my regular blogging at all. Anyway, let me make amends by sharing the pieces I’ve been working on a little. Progress is slow because I’ve had a commission to stitch (which is now finished, but I can’t show that yet as it’s wedding invitations for someone!) and am also working on other projects, fitting them all in between real life – LOL! The first piece is the Winter Quaker Bookmark. I’m actually no further on with this than I was last month, as I was working on the aforementioned commission and projects. The second piece is a new start. 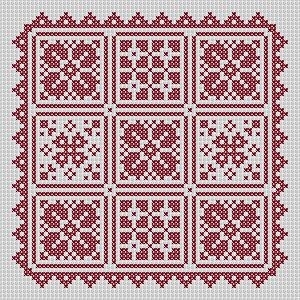 Another Quaker-style design, this is a small kit which I plan to make into an ornament for our Yule tree this year. Don’t forget to check back the first Saturday of May (5th May) for another update post. I’ve been so busy lately that I’ve not had any time at all for blogging (you’ll notice a complete lack of proper blog posts recently – just a couple of film reviews). I promise the overdue X-Stitching Christmas post (which should have gone up on Saturday just past) will go up this coming Saturday instead, so if you’re taking part, please do bear with me and check back next week. I promise that next month’s update will be on time! 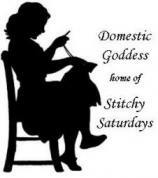 Each Saturday, I will feature either something I’m currently stitching, something I’ve just finished stitching, or something I’ve just designed. I hope you’ll all join me in displaying some of your own work and leaving a link to your post in the comments below. Charted for a single colour for adaptation to your preferences. Available individually or as a trio exclusively from my Folksy Store at a very reasonable price. A quick-stitch sampler with a message for all! Charted for two colours, this simple chart encourages unusual thinking. A small, quick-stitch Assisi-style heart – the perfect size for a Mothers’ Day card or gift. Available exclusively from my Folksy store. Stitch and share your patriotism! The perfect size for a card or small gift to mark the occasion. prices are very reasonable and will not break the bank! All designs delivered via email in PDF format, so no delivery charges and you don’t have to wait an age to get them. For examples of previous commissions, click here. And welcome to the third monthly update! And so we march into March! Whereon earth is the time going? 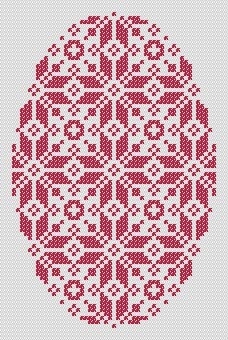 I hope you’ve all been busily stitching your Xmas and winter projects, ready to share them all with the rest of us! 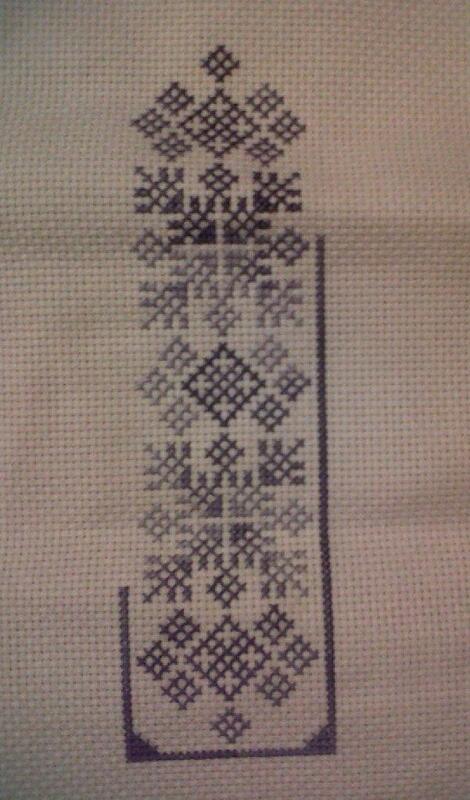 I managed to get a little work done on my Winter Quaker Bookmark. Unfortunately, I have now realised the piece of fabric on which I am stitching it is a little too short for the entire design, so I shall have to modify it a little. Still, I’m rather pleased with how it’s coming along. It’s stitched on white 14-count aida in Venus M-018, which is a variegated floss with muted shades of purple – it looks rather wintery and I’m enjoying the effect as I’m stitching it. 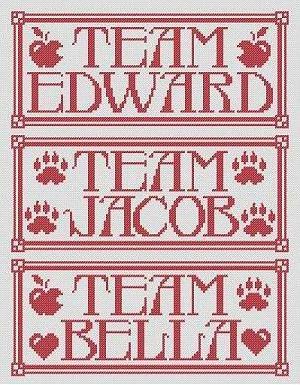 I’m still working on a big commission, so I’ve only done a teensy bit of work on this project, but the commission will be finished by the end of March and I will be able to concentrate on my own stitching for a while after that. Don’t forget to check back the first Saturday of April (7th April) for another update post.